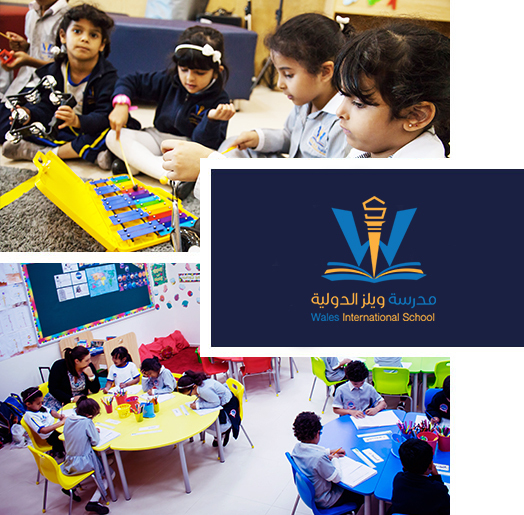 Wales International School (WIS) is situated in Al Shamkha City, Abu Dhabi. It is a privately owned school, which opened its doors in August 2016. It was set up to provide a high-quality British curriculum education for children in the local area. Since opening WIS has gained British Schools Middle East (BSME) status. Wales International School is still very much a ‘local’ school, catering for a predominantly Emirati clientele, which now caters for the 3 – 13 age group (girls and boys). We adhere as closely as possible to the National Curriculum of England, within certain cultural and religious constraints, which will eventually culminate in IGCSE and AS & A2 level examinations. All lessons are taught in English, apart from Arabic, Islamic Studies and UAE Social Studies, which comprise approximately 20% of lesson time, as prescribed by the Ministry of Education. Nearly all of our students are native Arabic speakers, but English is the official language of the school. Although we have students of quite a broad ability range, prospective students are admitted and placed, based on performance in English, Arabic and Mathematics placement tests. The curriculum has been brought closely in line with the ethos and pedagogy of the National Curriculum, with emphasis, for example, on independent, differentiated learning, cohesive assessment, and Assessment for Learning strategies and tracking procedures.